The Willows is a handsome community of Woodstock ranch style condominiums with garage parking in a beautifully landscaped community of homes. Enjoy all the benefits of a home located in Woodstock near Town Center and The Outlet Shoppes. Golf enthusiasts will appreciate the short drive to The Golf Club at Bradshaw Farm. Hoping to find your home near recreational parks and green spaces? Be sure to enjoy the Kennesaw Mountain National Battlefield Park. Commuters have ready access to travel routes along Highway 92, and I-575. The amenities package includes a community clubhouse. 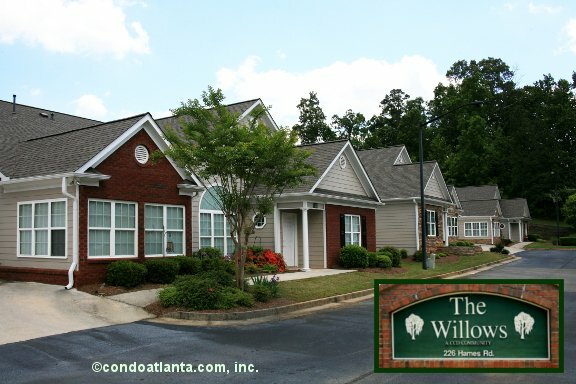 The Willows also offers gated access for added privacy and homeowner security.